Injured in a Truck Accident? Know Who to Sue! Who Is Responsible After A Truck Accident? In an accident involving an ordinary passenger car, it is relatively simple to determine who was responsible and who should be sued. Usually, only the other driver and that drivers auto insurance company are named in any court proceedings. Unlike passenger vehicle accidents, accidents involving commercial trucks and vehicles often result in multiple parties and entities being sued due to injuries. Determining legal responsibility after a trucking accident can be complex–a qualified truck accident attorney in Tulsa is crucial in sorting out the right people responsible for your truck accident. While the person driving the truck is almost always a party to your lawsuit after an accident, he or she will generally not be the person from whom you recover much money. Like most ordinary people, a truck driver often does not have a significant amount of wealth or assets that can be used to pay for your medical bills or costs. 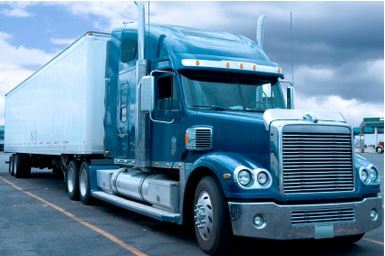 If the driver of the truck worked for a trucking company, that company will almost always be part of your lawsuit. 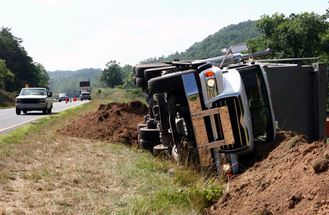 Usually, a trucking company is responsible for the negligence of its employees while they are on the job. In addition, the trucking company may be responsible for failing to train its drivers properly or not following federal driving and safety regulations. An independent contractor is a trucker who is self-employed, and does not work for a trucking company. Instead, the driver may incorporate himself or herself, and run their own company. In this case, both the driver and the company will be named to the lawsuit. The company who hires the independent contractor may also be liable for your damages, depending on the terms of the contract between the driver and that company. Many of the parties involved in a trucking accident will have insurance, and there may be multiple insurance companies which become part of the lawsuit. The driver may have his or her own insurance policy, the trucking company will likely have another insurance policy, and any driver acting as an independent contractor will also have insurance coverage. It is also possible that the company which hired the driver to ship their goods has insurance as well. Any or all of these insurance companies may be named in your lawsuit. Various government agencies in charge of maintaining road conditions. Determining liability after a trucking accident is often an exercise in contract interpretation, insurance liability and indemnity clauses, and general negligence law. Without an experienced truck accident attorney like those at The Edwards Law Firm on your side, you may be get lost in this maze of legal complications. Make sure you get the compensation you deserve from all parties responsible for your accident.